Ask the Audiologist: I Have New Hearing Aids. Now What?? Note from Tammy: Last time, we discussed adjusting to new hearing aids. That is, without a doubt, the hardest part of getting a hearing aid. But, there are certainly many questions that people don’t even know to ask when they get new aids. Keep sending me those great questions! A: This depends entirely on how much wax your ears produce and what type of environments you are in. Some people need to clean their hearing aids every single morning…others will rarely clean them. Every morning, inspect the part of the hearing aid that goes in your ear for wax/debris. Use a dry toothbrush to clean. I always recommend to clean the hearing aid in the morning as any wax that has built up on the hearing aid from the previous day will be dried out and will flake off easily. A: Many sounds will seem very loud when you have new hearing aids. Your ears (and your brain) are not accustomed to hearing so many sounds. First, sounds that are loud to a normal hearing person will be loud to a person with hearing aids. Your dog’s bark is likely very loud to everyone. The hearing aids will compress loud sounds so they don’t become uncomfortably loud. Second, soft sounds may seem extra loud as your brain adjusts to them. The more you wear your hearing aids the quicker your brain will adjust to those soft, background sounds and will, in essence, relearn how to block them out. Remember that your hearing loss occurred slowly over many years (often over decades) and it takes a long time for your brain to adjust to all the new sounds in your environment. If you find this still bothersome after your first two weeks it can easily be reprogrammed for you. A: This is completely normal. Anytime you cup or cover a hearing aid you will get feedback. Feedback does not mean that a hearing aid is defective or has something wrong. If the feedback occurs only when you cup it then no further action needs to be taken. If you have feedback while you eat, talk or when you are still then there are a few things that can be done. Try a different ear tip/dome first. Making a good seal in the ear canal is key. Sometimes this means the tip needs to go deeper so you need to use a smaller tip while other times you need to go to a larger tip to seal up the ear a bit better. If changing the tip doesn’t help then it should be reprogrammed to make the feedback technology more aggressive. I’m using hearing aid por few years. I don’t have a hearing test available my question is can I order the devices without the hearing test.? I wear both and one of themy I broken. It may be tough at first to adjust to hearing aids, but really they are amazing tools. They aren’t a perfect solution, but they are super helpful. The only hard part is convincing someone that they need hearing aids. There just seems to be no easy way to do that. These are some excellent questions that I myself have been wanting to know as well. Since my father just talked to his audiologist this morning, the audiologist told him about getting some hearing aids. Mainly because how of how badly my father was losing his hearing and the ears are no good anymore without a hearing aid. I had no idea that hearing aids could be cleaned with a toothbrush. Maybe I should tell my grandfather that. I’m pretty sure he hasn’t cleaned his hearing aids in years. My mother recently got new hearing aids, and I wanted to help her to maintain them and keep them functional. I appreciate having these answers to questions that are similar to my own on this subject. It is good to know what she should expect as she is experiencing these devices as well so that I can help her grow accustomed to them. Thank you for such an informative article and helpful hearing aid tips! I can see huge benefit for me with blue tooth capability and I note two audicus models support the technology “aNote” and “aBlue”. I am 72 and still working in a fairly quiet office environment, but I notice an increase in tinitus (that sounds more like a shhhssshing noise with slight high pitch overtones.) Five years ago I had an audology test which confirmed slight high pitch hearing loss. 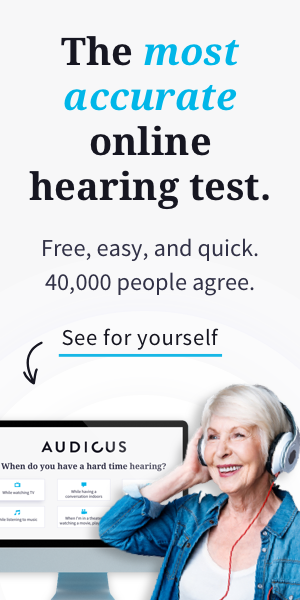 Now, my wife complains more about TV volume, and my hearing her clearly when around corners or in restaurants, so we went to Costco and obtained an in-house audiologists test which confirmed my hearing had declined. I have an appointment with a Doctor recommended by my medical plan in early July, to confirm I have no medical conditons causing the gradually decreasing hearing loss. After that visit, then I will have their audiologist provide a comparative hearing test and provide recommendations. So, I expect to take the leap and buy hearing aids in about six weeks (July 2014). I would appreciate some detailed thoughts with respect to my thoughts about the two systems noted above. Plus, we live here in Las Vegas, where of course it is HOT, I would appreciate some more detailed guidance on hearing aid care here. Also, I wear glasses and with these two systems I expect I shall have to think about possible physical interference from my glasses bows. Your thoughts on these issues would also be appreciated. Many thanks for letting me interrupt your day.